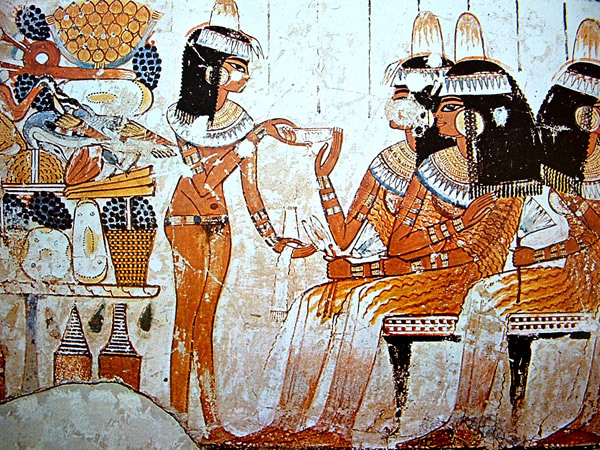 One of the most amazing artistic styles is the Egyptian Art. 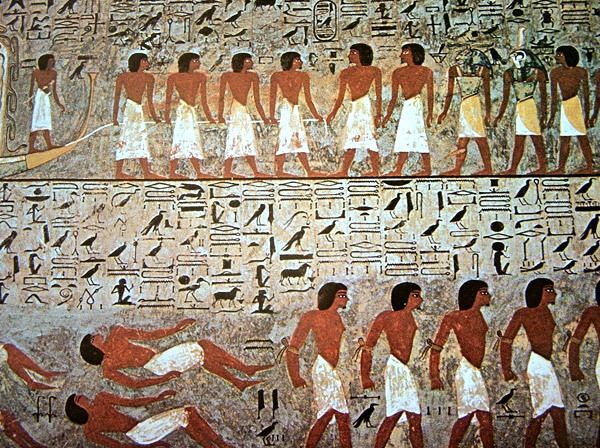 The paintings of Egyptian art have many fans and it´s still very popular today and it inspires new artists. 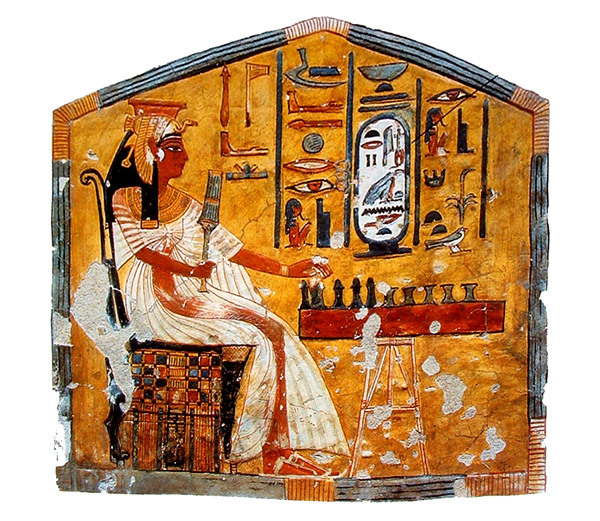 Egyptian style configuration . How is the Egyptian style and why it is so effective and beautiful? 1. The lines and contours. The configuration is made with a type of line drawing and with spot colors. No volumetric development, nor atmospheric, nor three dimensional. The line outlining the forms begans the most important graphic element. This type of drawing brings clarity to figuration, which is more defined. 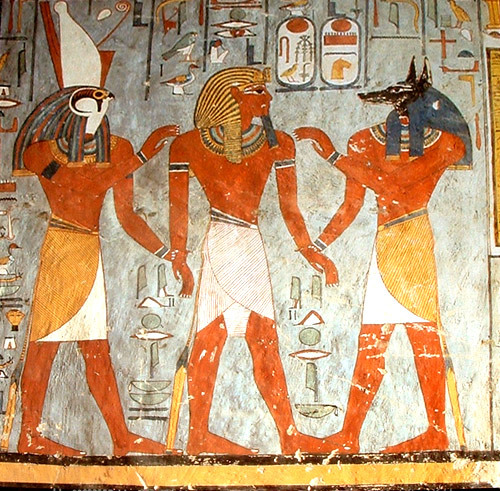 Moreover, in this art style the symbols are very important (of gods and pharaohs) and the thematic narrative, so they sought clarity on the message, not ambiguity, as in other styles. Two other important graphic elements complement the lines: The color, which is dominated by these lines. 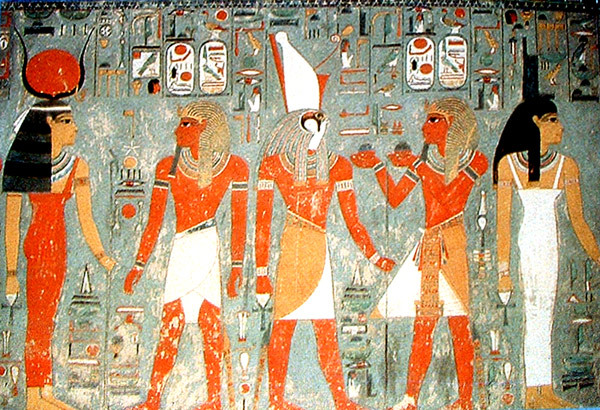 And the hieroglyphs, the writing that also need the line. 2. Figurative and symbolic elements. 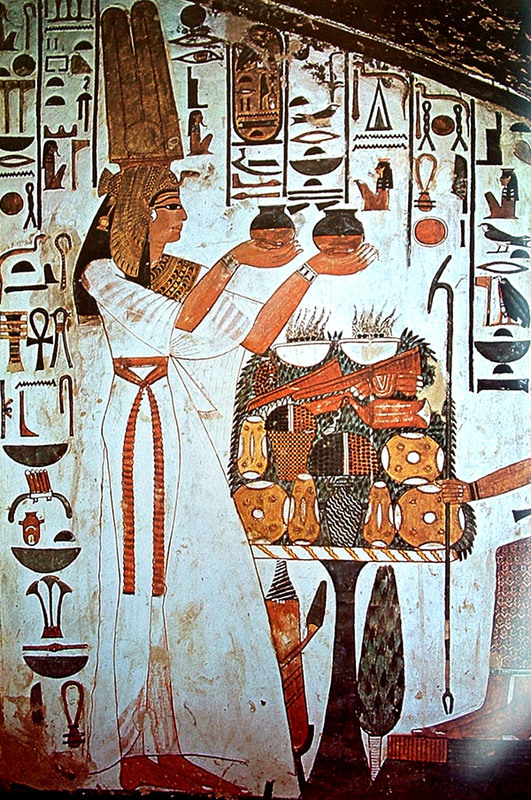 Predominate in most of the images of Egyptian art. The narrative is a very important goal in this style and composition is generated based on the messages they want to make known. 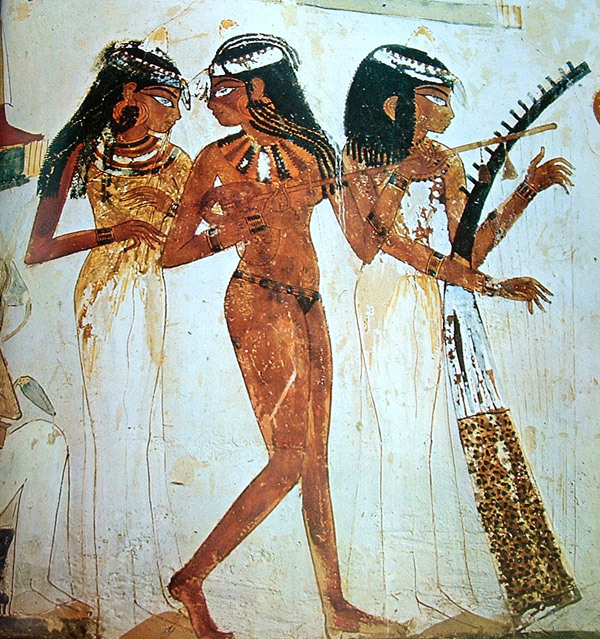 Egyptian art developed a great ability to communicate with few resources but plenty of choice. Figures used as protagonists in their stories and symbolism as narrative. 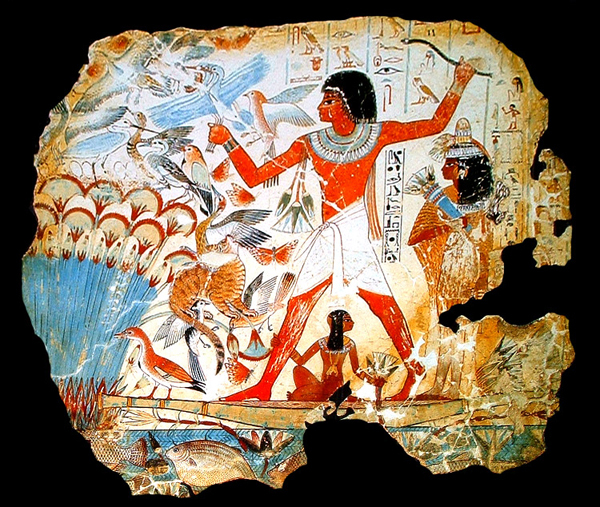 The art of the Egyptians had to transmit many messages that were related to their Gods, Pharaohs and more characters that are represented in his images. So try to be a representational art at the same time symbolic (images that convey more abstract ideas). The disposition of the various figures, provides a very strong factor to the style. Since no depth, it is necessary to have other systems to compose the ensemble. A system is to represent people in rows. These rows also generate a direction that is usually related to an important action that is taking place in the picture. Therefore, the dimension is plain but with strong directions that represent the actions and the movements of the figures. This brings much life to the composition. They also play with the proportions: large figures as the most important and powerful, and small figures as being less important. The harmony is generated in the composition calibrating visual weights, ie, the elements that attract more attention. A limited color range that is repeated consistently to avoid any overly protruding, and if it does, that is to add weight to the figure.